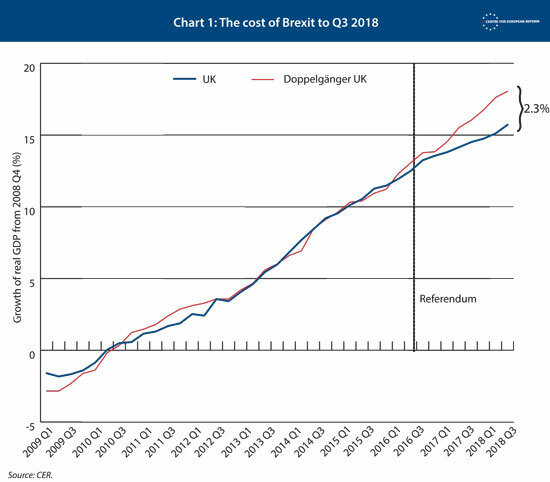 The UK economy is 2.3 per cent smaller than it would be if Britain had voted to remain in the European Union. Is this email not displaying correctly? Putin's last term: Taking the long view After the meaningful vote: What are Theresa May's options? Putin has dominated Russia since 1999. He now faces many problems, including how to transfer power, if at all. The West should prepare for change – or for no change. Theresa May can only win a parliamentary majority for her withdrawal agreement by agreeing to negotiate a softer relationship with the EU.